Capt. Alvin was born in Frenchtown, a small harbor side community in St Thomas, U.S. Virgin Islands. His father was part of a fishing tradition that dates back 3 generations as an artisanal & commercial fisherman. Capt. Alvin continued the family tradition and by age ten he began to show a natural talent for fishing as well as develop an understanding of the intricate ebb and flow of the ocean’s flora and fauna under the watchful eye of his father. Capt. Alvin fished along side his father every chance he got on weekends, summers, and the duration of his primary education. During these years he developed a strong passion for the sea and began his days as a full-time commercial fisherman with dad, and on his own. The opportunity to fish commercially and the time spent with his father and other local fishermen forged the skills and know how that sets him apart from other charter captains on the island. 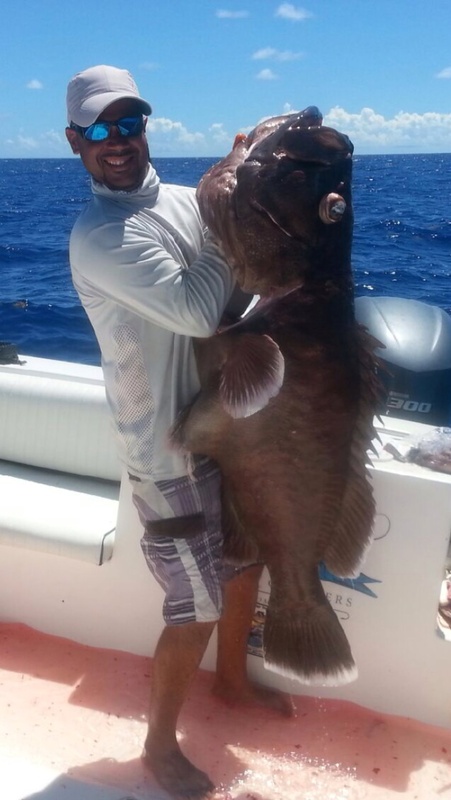 Due to his 20+ years of fishing experience in both inshore and offshore waters around the U.S. Virgin Islands, Capt. Alvin has been blessed with winning several local Kingfish tournaments here in St Thomas; (2000, 2001, 2003, 2008 & 2012) as well as earning 1st place and Best Boat in the VIGFC’s Dolphin Derby (2013, 2014 & 2015). Capt. Alvin’s early success fueled his dream to become a licensed Captain and to open his own charter company here in St Thomas. In recent years, Capt. Alvin has served as Captain for a local charter business in St Thomas. On one of these charters, he met the Clarks, a family steeped in fishing tradition in both the waters of Nova Scotia and New England. Despite hailing from completely different fisheries geographically, a passion for life on the sea was easily recognized and a partnership was formed. With fishing as a way of life, our extended family hopes to share their passion for fishing with you aboard our 37 ft boat Emanuel!